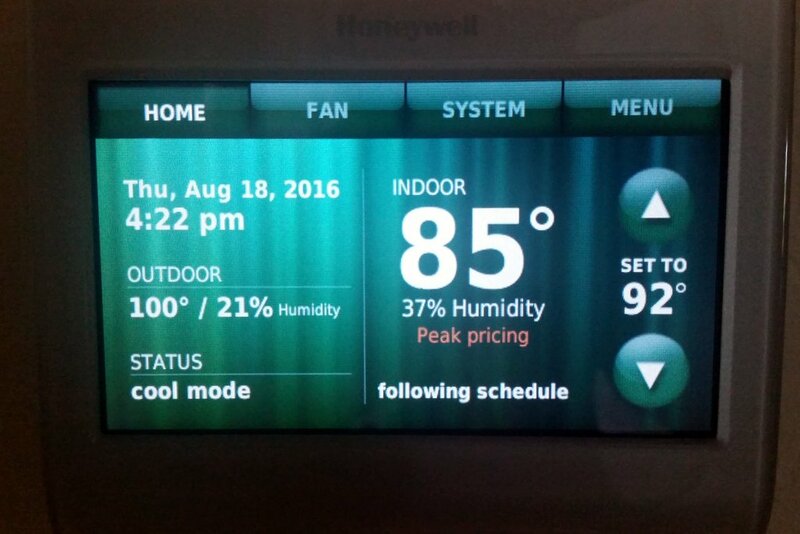 It seems Honeywell added some new features with a recent update to the RTH9580WF WiFi thermostat firmware. One new feature is called Utility Schedule Options. I looked on their website and found no information on it, so I decided to put together this blog post and a Utility Schedule tutorial video. The feature allows people to take advantage of special time of day pricing programs offered by Electric utility companies. I did this in the past by setting up my schedule, but essentially lost 2 programs steps setting it up. The new menu item is under "preferences" under main "menu" (Menu>Preferences>Utility Schedule Options>On). The video walk though of RTH9580WF Utility Schedule options setup, I shot walks through the setup. It also gives an idea of the different options you can set (up to 4 different breaks and active on different days). 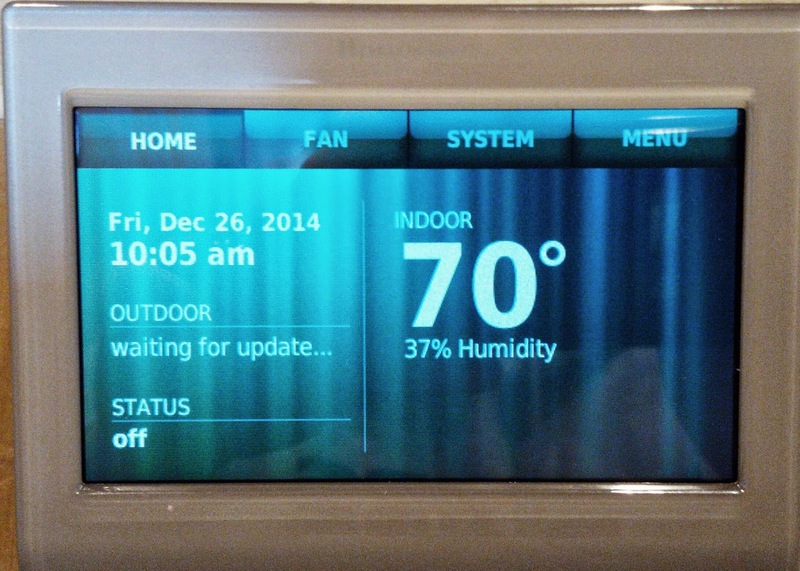 The thermostats then uses the temperature limits you set on top of the regular programming steps. After setup the thermostat displays "Peak pricing" or "Non peak pricing" on the main display. Here in Arizona this was the perfect thermostat for SRP's EZ-3 Price Plan. This plan says that you will reduce electric consumption during a 3 hour window Monday through Friday. I believe a lot of other utility companies have similar "time of use" savings plans to encourage homeowners to reduce power usage during times of peak demand. In exchange you get lower electric rates. 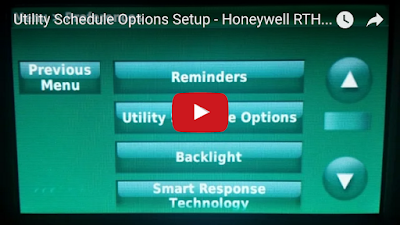 My savings are about $300 a year - and using this new feature of the Honeywell RTH9580WF was easy to setup. The only disadvantage that I saw is this setup isn't vising in the mobile app or web interface right now. You need to set this up on the thermostat itself and can't modify it remotely. This may change with future updates. If you ever have the pricing notifications showing up on the screen, just go and turn off the "Utility Schedule Options". Press Menu>Preferences>Utility Schedule Options>Off to get rid of the extra prompt, if you're not using it -or haven't set it up yet.